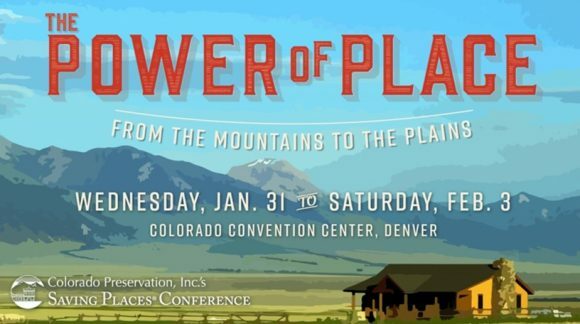 Colorado Preservation, Inc. took place Jan. 31 – Feb. 3 in Denver at the Colorado Convention Center. The annual event was an opportunity for preservation-minded individuals and professionals to get high-quality education through sessions and speakers, and to network with colleagues and leaders in the preservation field. The 2018 event, “The Power of Place: From the Mountains to the Plains,” celebrated Colorado’s diverse history and provided an opportunity to shed light on underrepresented sites and communities, and gave voice to the stories of fellow Coloradans that often go untold. This project was paid for in part by a History Colorado State Historical Fund grant.